Serving Oak Valley Hospital practitioners and the entire Oakdale community. 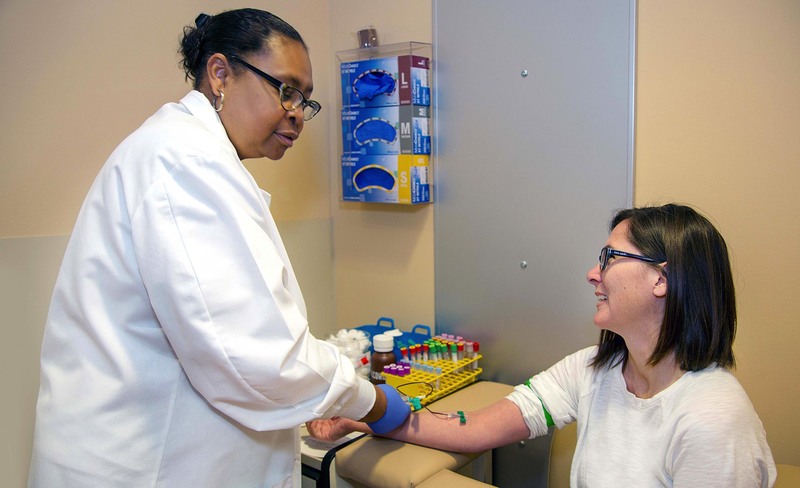 Blood draw service- Outpatient hours Mon-Fri 6:30 a.m. – 8 p.m. and Sat-Sun 6:30 a.m. – 4 p.m. The upgraded laboratory facilities at Oak Valley Hospital have been engineered to provide broad-based assistance to all practitioners throughout the Oak Valley campus, and to offer a quick turnaround on both inpatient and outpatient services for visiting patients. Integrated lab services ensure accelerated turnaround times on lab work and immediate access to the local laboratory staff, maximizing physician efficiency and minimizing wait times.